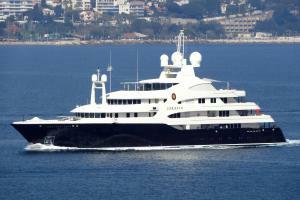 Dyneema mooring lines for superyachts. 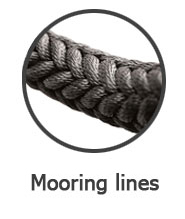 Dyneema mooring lines are stronger and lighter for any given diameter. 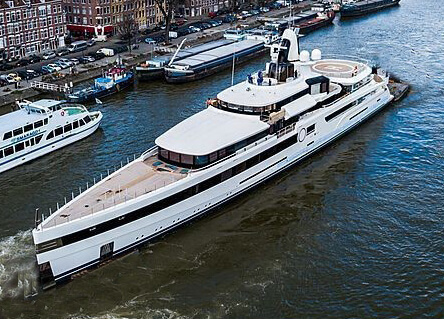 For example, our 40mm dyneema mooring line is more than twice as strong compared to a polyester mooring line but 30 percent lighter. 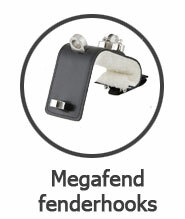 This enables you to use a thinner mooring line without sacrificing strength. 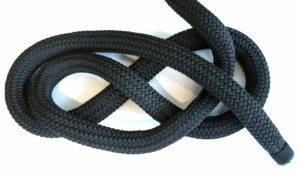 A thinner rope makes handling a lot easier and it takes up less space on board. 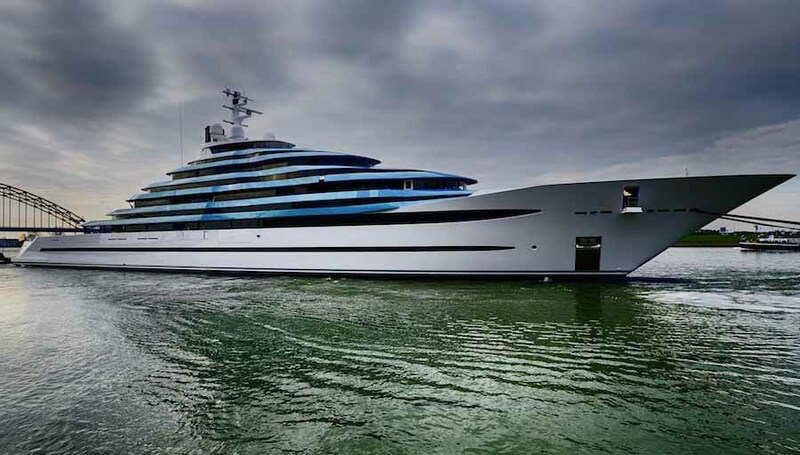 We combine the dyneema mooring line with an abrasive and UV resistant polyester cover to ensure the best possible longevity. 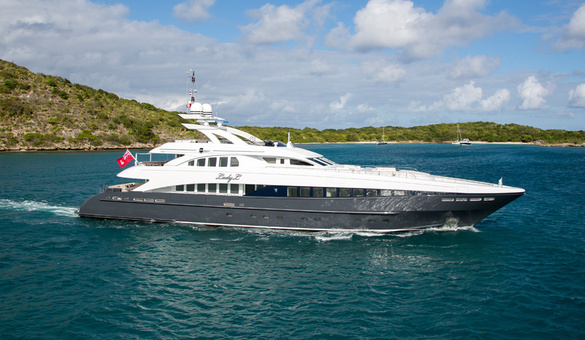 Every dyneema mooring line is made to order for each user. 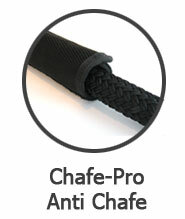 Options include custom length, NFC chip, eye splice and chafe pro or leather cover on the highest abrasive areas. 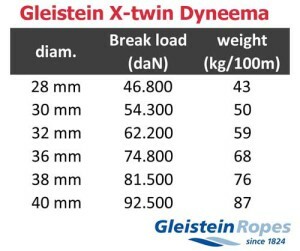 Dyneema is great in its strength and weight but lacks the stretch necessary in a mooring line. Shock loads caused by wake and swell can damage deck hardware. 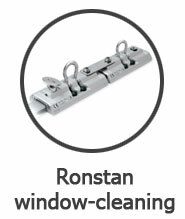 We advise using polyester stretchers to do the “dirty” work. 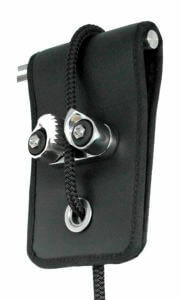 A polyester stretcher will take up the shock loads and stretch keeping your yacht and hardware save. 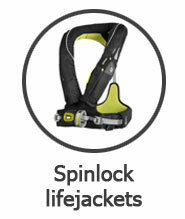 This makes the dyneema mooring lines last longer and if the stretcher is worn or damaged easy to replace. We prefer having the stretchers a greater breaking load compared to the dyneema lines. If something breaks it’s better to have the dyneema part breaking since this part doesn’t store “energy” and won’t reflect back what a stretching rope would do which could be dangerous. The stretchers are generally continues loops of 4mtr length. The mooring line is being lashed onto it, and the other side of the stretcher goes around the bollard on the shore. 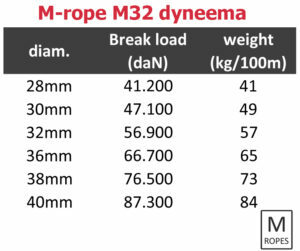 Dyneema is an “ultra-high-molecular-weight-polyethylene” or “UHMWPE” or “HMPE” for short. 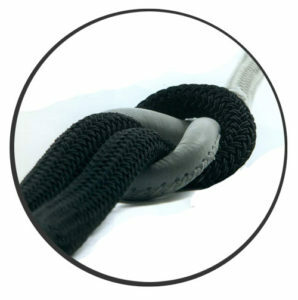 Dyneema fibers generate their strength from parallel aligned molecules. 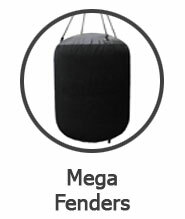 More than 95% of these molecules are aligned in a parallel orientation, all contributing in the Dyneema strength and less to its weight. Spectra is another name often used for Dyneema. The material is roughly the same, where spectra is a tradename of Honeywell (USA) and Dyneema is the tradename of DSM (EUR). The dyneema comes in various grades. The first ones were SK38, and the last 10 years this was upgraded to SK75, SK78 and even SK90, SK99 and DM20. The DM20 dyneema has the main benefit that it has no creep, which is a stretch under long period of time, whilst the SK90 dyneema is stronger and has less stretch compared to the SK75. 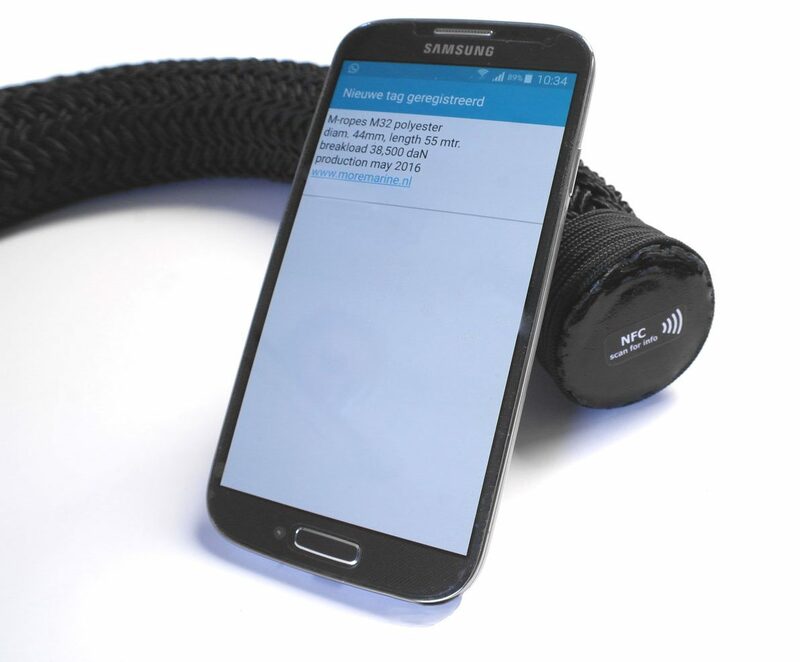 Since stretch in mooring lines is something we are interested in, we prefer using the SK75 version of dyneema. Interested in how our ropes are made? Have a look on our “how it’s made” page.